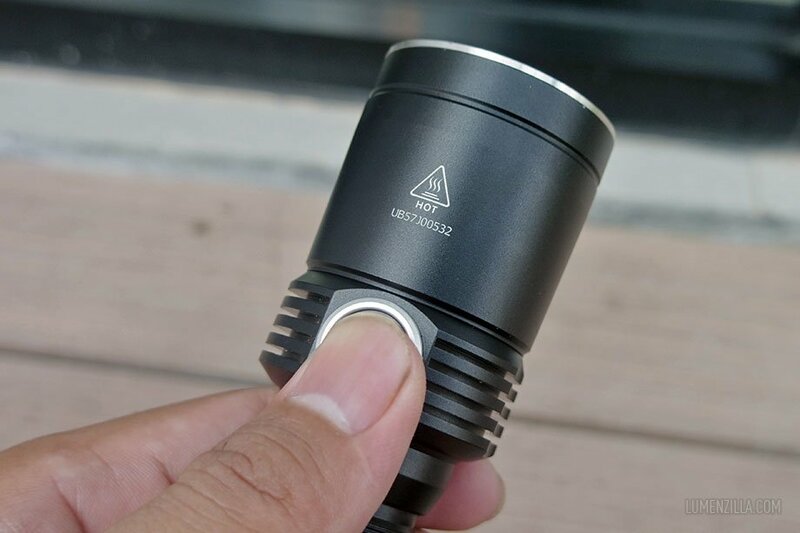 There are a few brands who made flashlight with RGB color LEDs in a single body, one of the few is Fitorch with its MR35 model. 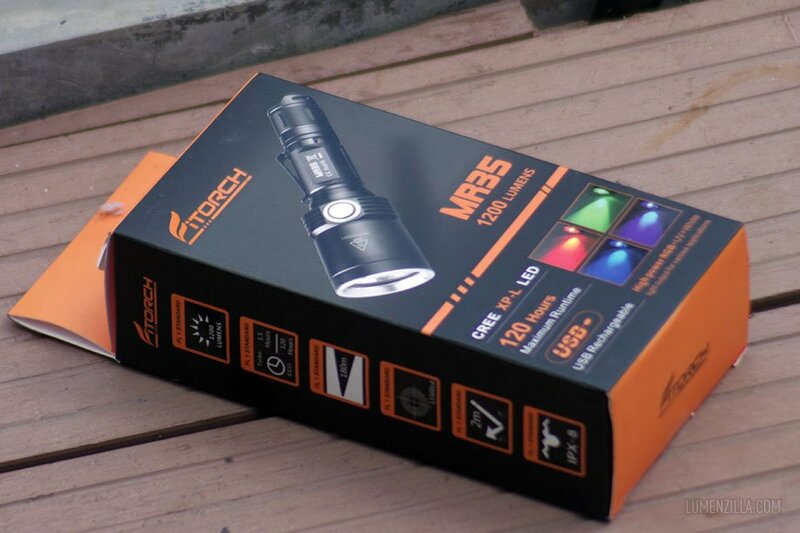 Fitorch MR35 utilises CREE XP-L plus RGB + UV LED in a single and neat housing. Fitorch is currently sells their products through Gearbest and Banggood. They was also very kind to include a diffuser (sold separately, not pictured) into my door step. 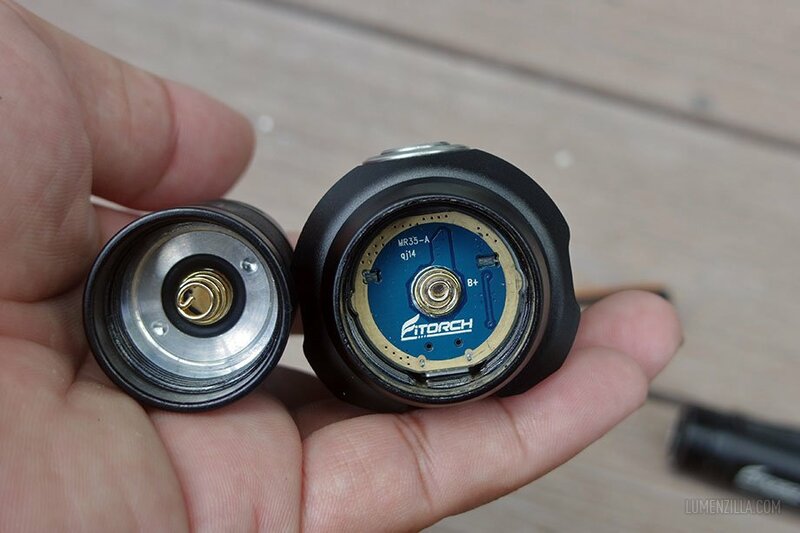 Fitorch MR35’s body is knurled in a ring shapes, including the tail cap. Fins that clearly visible on head section is also looking nice and useful for heat dissipation. The dimension is just fit into my hand and pocket clip helps with the grip. The funny shaped rubber shown under my finger ring is cover for micro USB charging port. 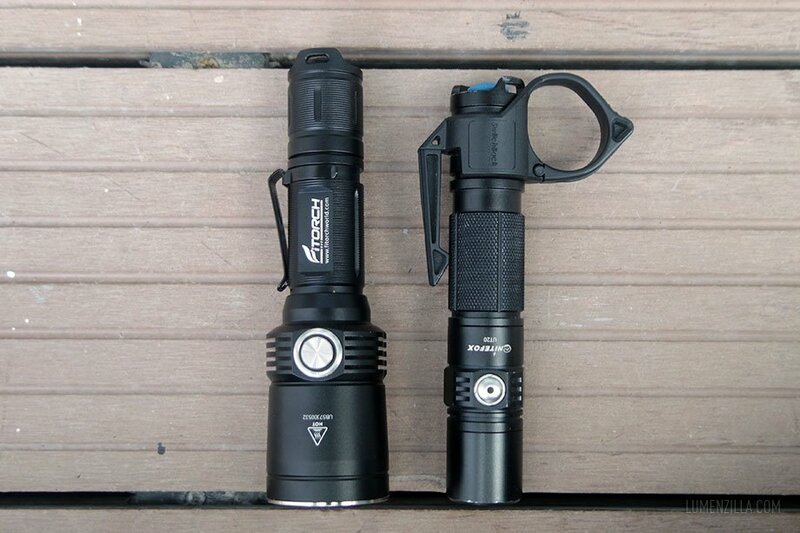 Following picture is size comparison of Fitorch MR35 with Nitefox UT20 (with additional Thyrm Switchback). Quality of anodization is great, including the thread part. The thread is square and perfectly lubed out of the factory. 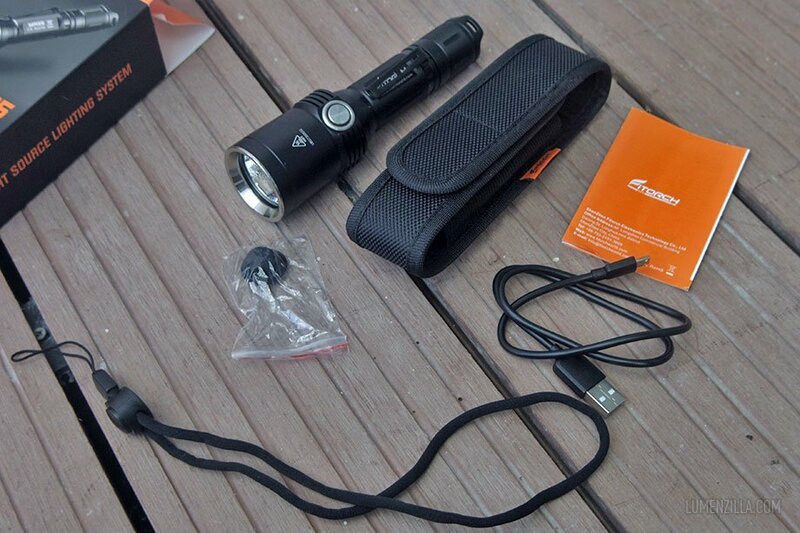 A 18650 battery is also included in the package and the battery can be charged directly using micro USB cable. Upon opening the head and tail parts, I found that they install springs on both driver and switch board. 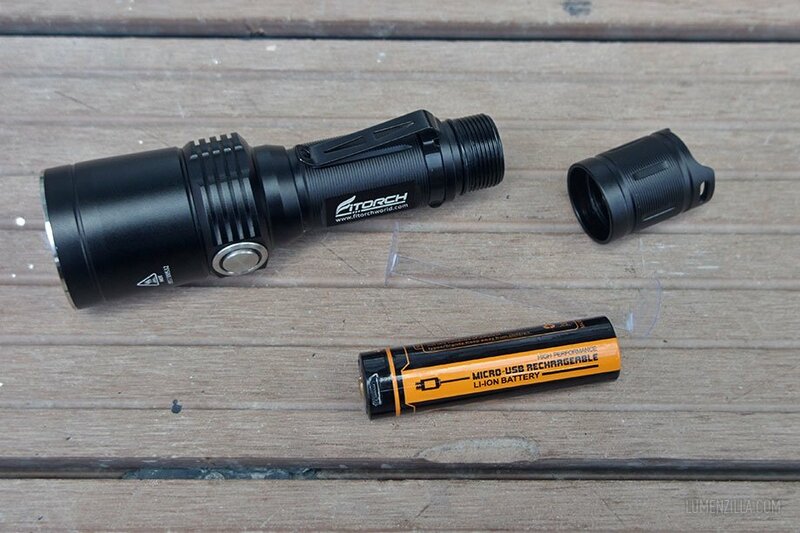 It’s a nice thing because the flashlight will adapt various length of 18650 and minimising the impact on battery. Now this is the interesting part. 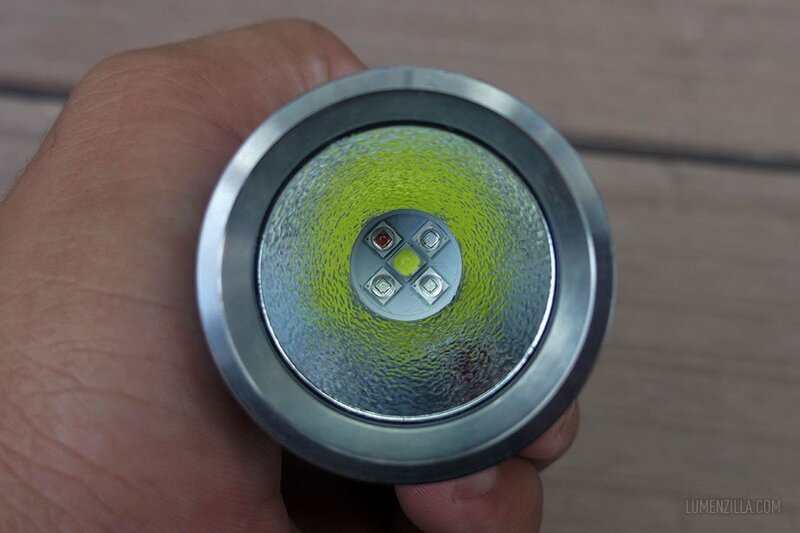 Five LEDs are arranged in its with “cross” position, main emitter (CREE XP-L) in the center and the rest (RGB + UV) are surround it. Orange peel reflector is used to get beam spread thus useful for close range illumination even by using big reflector. And speaking about bold bezel pictured above, that bezel is removable and we can install a diffuser into the thread. Don’t worry, the lens won’t fall off just because the bezel is removed. 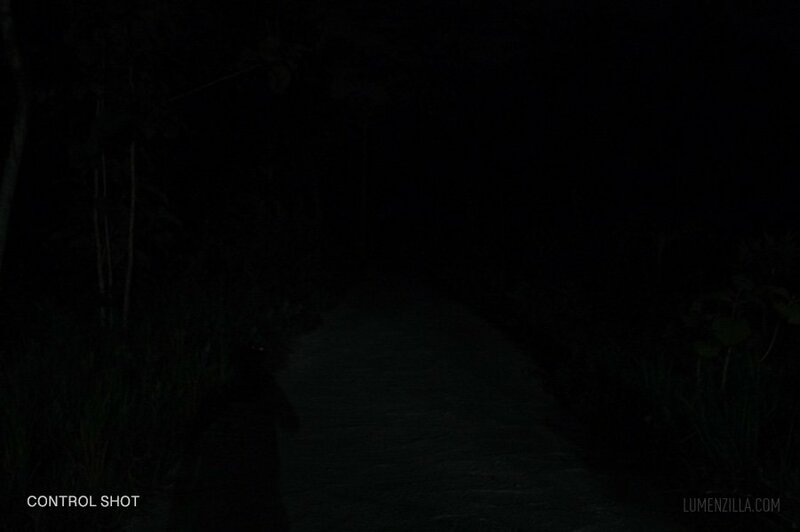 Just don’t forget to keep the bezel in proper place or you’d get unbezeled flashlight. Operating Fitorch MR35 is pretty straight forward. 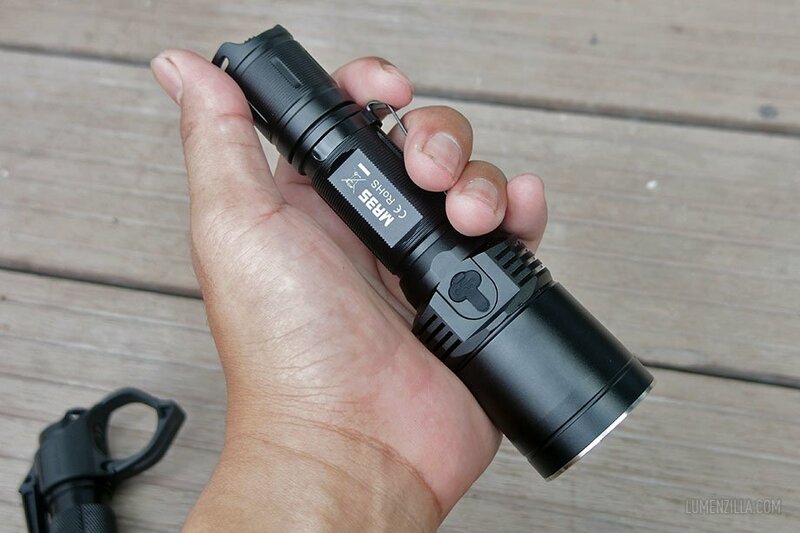 Use tailcap switch for power on/off and use side switch for changing modes. The modes will cycle from Turbo – High – Medium – Low, and then back to Low – Medium – High – Turbo on each click of the side switch. It has memory so it will remember the last mode used. To activate RGB and UV light, press and hold the side switch. 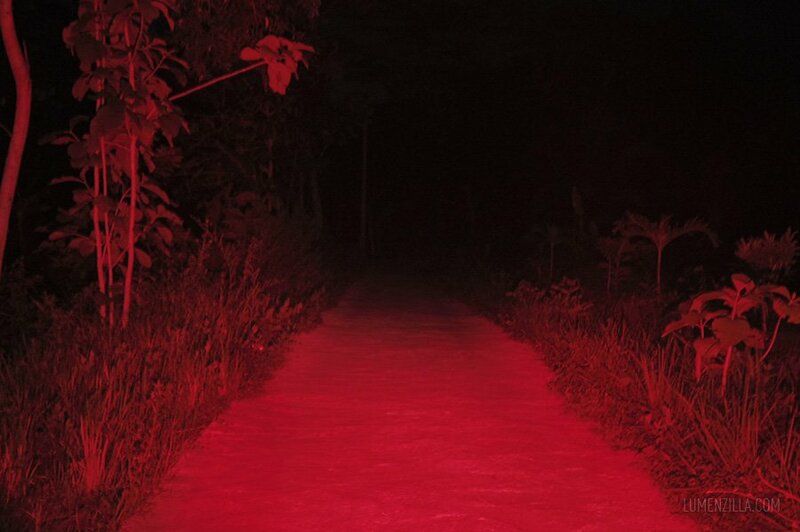 If we hold the switch long enough, it will cycle from Red – Green – Blue – UV. When the UV mode is activated, I found that some LEDs seems to also powered on. I’m wondering if they really powered on or just because of the UV illumination. 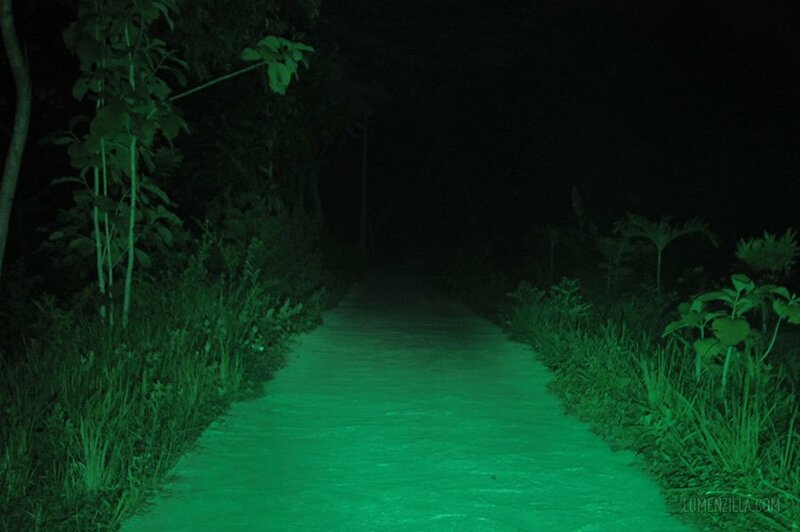 Update 23 May 2018: Fitorch representative explains that when UV LED is on, the UV ray will illuminate the phosphor on green LED, therefore It looks the green LED turns on. 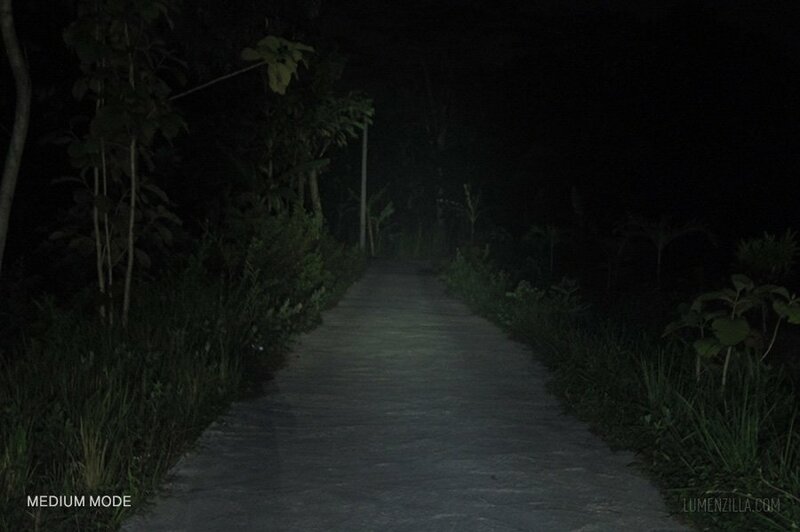 If you need strobe function, it can be activated by quick double click/press on the side switch. There are two strobe functions: white only and RGB only. 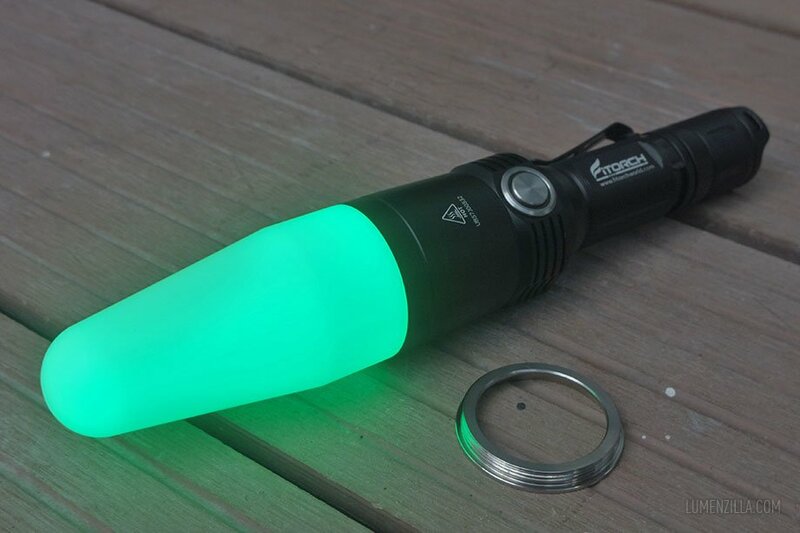 Aside than those modes, this flashlight also has built-in battery check and locator beacon feature. Following beamshot pictures was taken in the night around 10-11 PM using manual apperture mode on my Pentax Q camera: 0,5 sec; f/1,9; ISO 400. Distance of camera to the electric pole at the end of the street is about 60-63 meters, or roughly 200 feet if you’re in America. There’s a little challenge on the RGB+UV mode. Since the LEDS aren’t located in the exact center of the reflector, there’s a doughnut in the center of the beam. 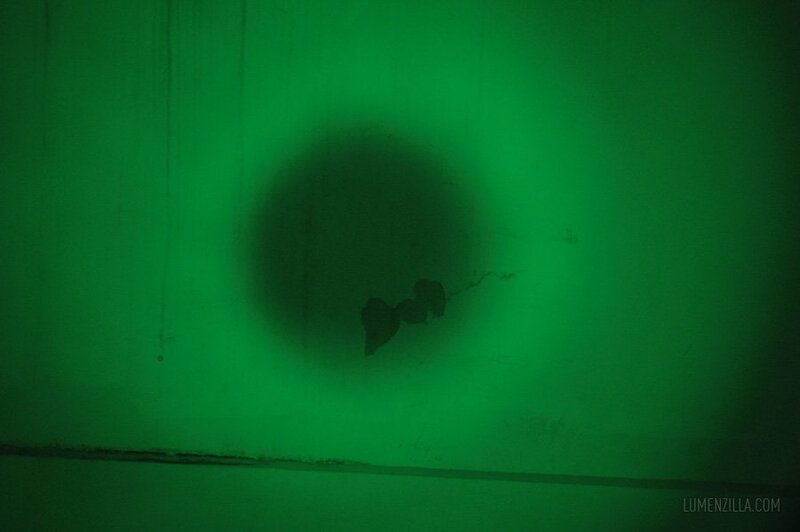 This doughnut may not be a problem in close range illumination. 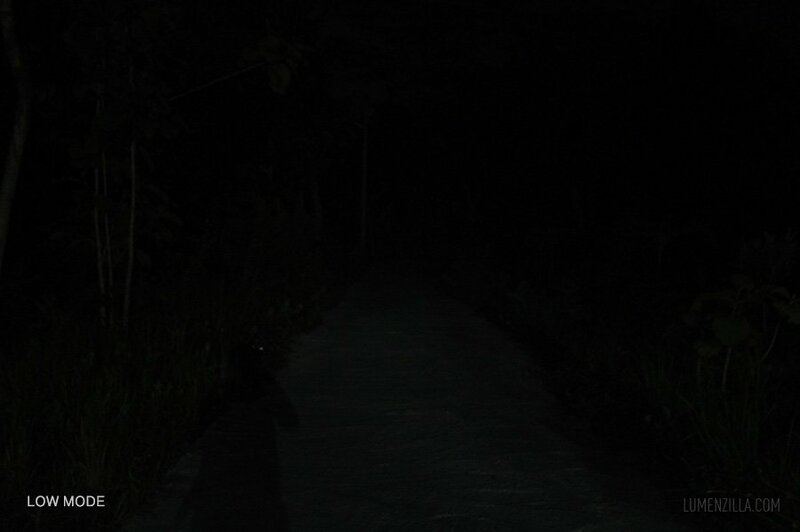 But on the long range one, it makes the center part of the illumination is barely visible. 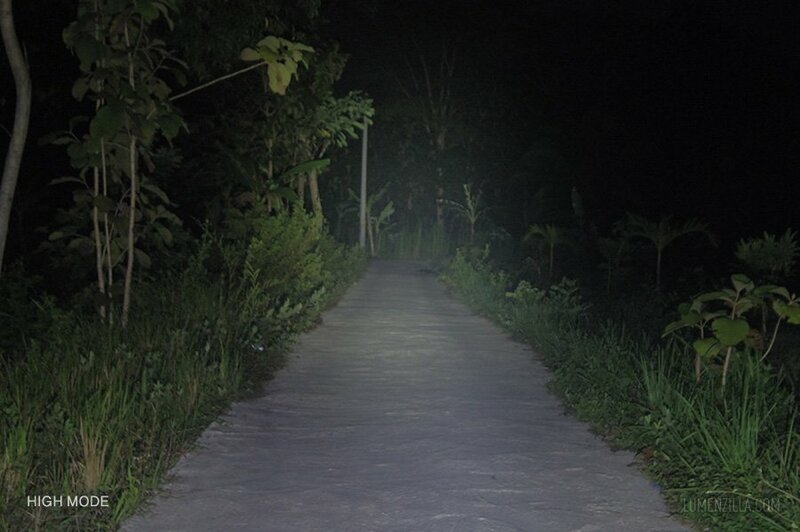 If there’s no doughnut in the center of the beam shot area, surely we will see the electric pole at the end of the road. I struggled trying to capture UV LED in frame because, as its common name: black light, human eyes can barely see the color. 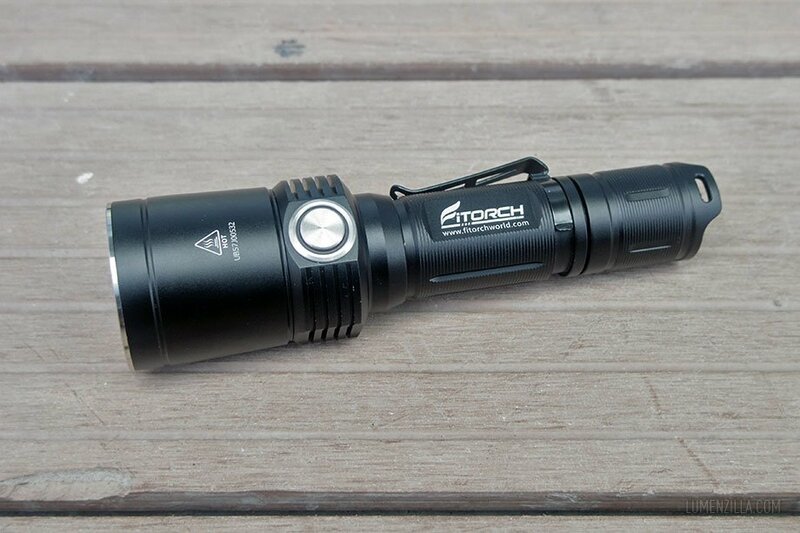 Fitorch MR35 is a good flashlight with plenty useful features like RGB+UV LED, 1200 lumens max output, locator beacon, voltage checking, USB charging, and holster included. 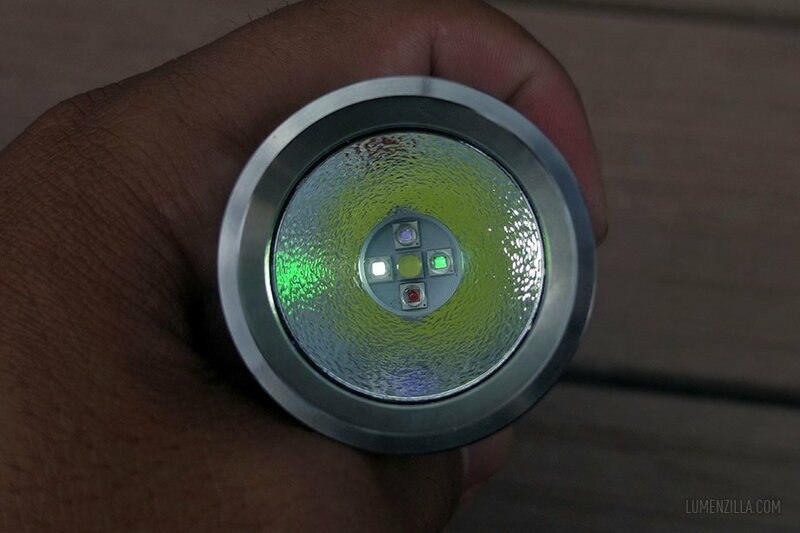 The only challenge I found in this flashlight is the dark area inside the beam (doughnut). 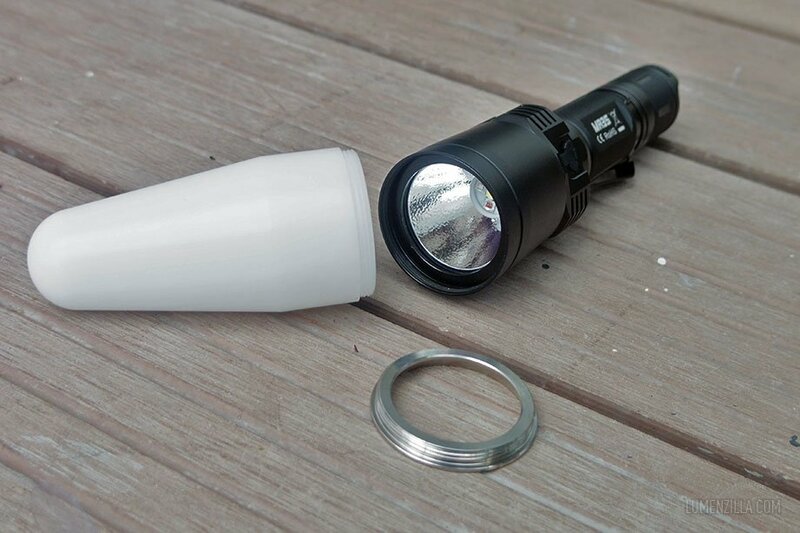 If Fitorch can address this problem in the future, it will be a perfect flashlight.